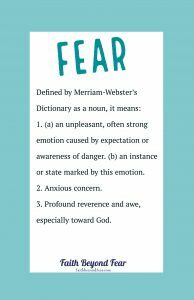 The noun definitions for fear describe human emotions like danger or anxiety. One definition describes a different emotion: an intense respect toward God. Not respect in an undefined deity, or the concept of some cosmic force. Not even in a human leader. In fact, this definition of fear even changes the context of the word from a noun to a verb. Fear itself is also an action. I am someone who can be paralyzed by anxiety. Once, I let my fear lock me away from the world for many years. I found a comfort zone, stayed there until I became stagnant in life, then became numb. Even worse, I took my family with me. The facade of my shelter was much like a mirror. Thin and fragile, it reflected the image I wanted to portray to the world: all is well behind the glass. Keeping people at a distance, it allowed them to see enough to appease their curiosity. A glossy image, it hid the internal chaos from full exposure, from the world and from myself. It was easy to believe I built a solid shelter because it appeared strong. But the foundation of fear on which I built those walls not only kept me (and my family) inside, giving us a false sense of security. Storms in life are inevitable. Even when we prepare for them, we never know if we stand on solid ground until our foundation is shaken. As I discovered, what appears to be stable shatters under the pressure of a storm. Everything I sought to protect was stripped from me, leaving my family exposed to the elements. In certain situations, a survival instinct kicks in I can only describe as primal. Fear, the noun, no longer exists. It is now a verb, the point in which dire action must be taken to survive. Stripped of my strength, with my children depending on me and my husband every bit as broken as I was, there was no room for emotional fear. Those who knew me “before” call me strong. I humbly correct them. For in all the destruction, there came a new kind of fear. It was a situation that could have left me bitter. But I had a new definition of fear, one that was bigger than my anxieties or anticipation of danger. I stood in the ashes of my life with embers still aflame and laughed. I knew everything “before” was built on the wrong foundation, the wrong “fear”. As a family, we worked together to lay a new foundation. We stand now on solid rock far sturdier than any we could have built by our mere works. Storms still come through our lives. Sometimes, they leave damage. But we no longer live by fear the emotional noun, we live by fear the active verb. And with profound reverence. 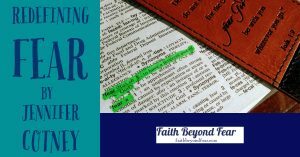 How do you define your fear? 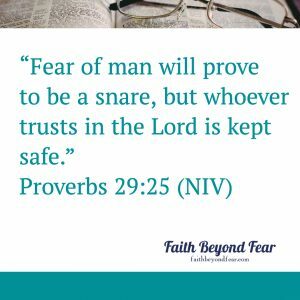 Have you faced a situation that forced you to act to overcome fear? Please share about it in the comments below. Jennifer Cotney is a graduate of Reinhardt University in Waleska, Georgia and lives in New Orleans with her family. She is a contributing writer for If Pets Could Talk Magazine, a regional magazine in southeast Louisiana. She also works as a freelance production technician in the concert industry. 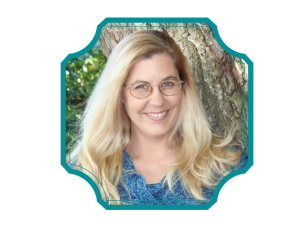 With a heart for rescue, animal and human, she is often found volunteering at a local animal shelter or serving as the Outreach Coordinator for Faith Movers Church, New Orleans. Want to read more stories of people reaching beyond their fear into their faith in Christ? So proud of you for sharing this and Praise God for you!! Keep up the amazing work and look forward to seeing so much more from you. Thank you so much for these kind words, Brian! I am grateful for the work God is doing in my life and for the opportunity to share with others. Jennifer, this is great! Thanks for reminding us to reverence (fear) God, and receive His GRACE, as a way if overcoming fears (anxieties). Thank you, Chip. It’s easy to give fear power when we don’t fully understand it. I’m grateful for the Grace that helps me to understand AND overcome. Have a great day! 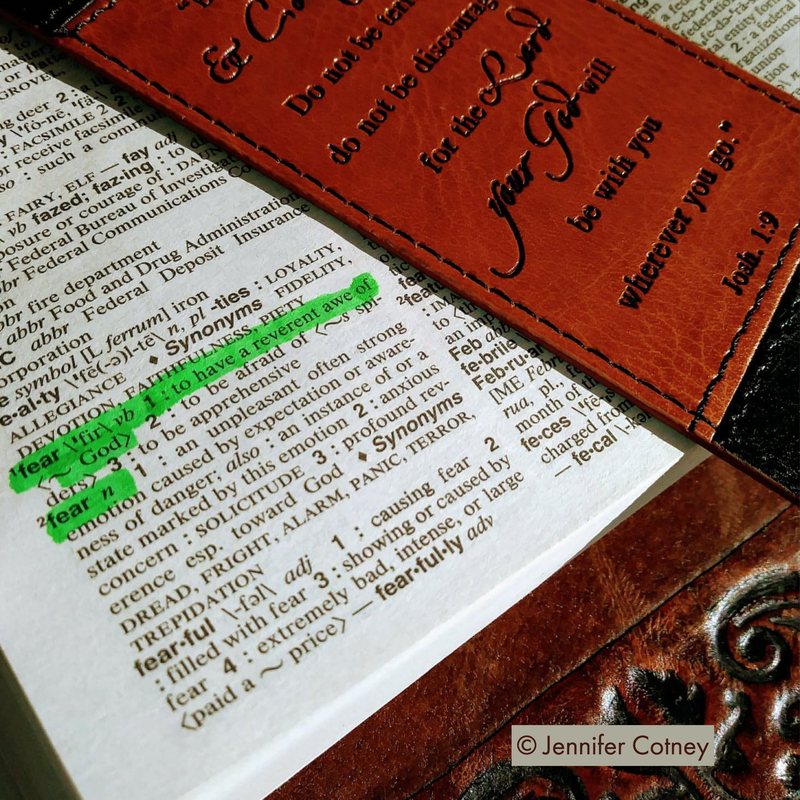 Thanks for sharing, Jennifer! 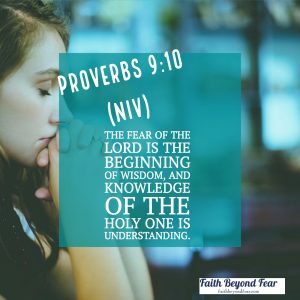 I totally agree that as Christians we need to redefine fear. I had to learn to give my fears a name before they gave one to me. Good word today!